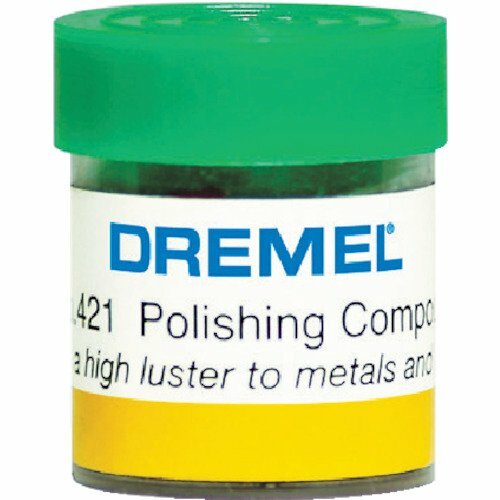 Use with felt or cloth accessories to polish metals and plastics. Will remove a dull oxidized film and/or light surface imperfections. Enkay Products has been an importer and distributor of hand tools, drill accessories, hobby tools and polishing accessories since 1952. Enkay's mission is to provide customers with a less expensive alternative to the larger more expensive tool distributors without compromising quality. When finishing cutting you're left with lots of scratches & bumpy surfaces. Clean wheels between compounds with a flat screw driver by running it through while spinning!. Polished Like Brand New! The Drixet 6 Piece Buffing/Polishing Compounds Kit will help you get a smooth and burr-free mirror finish on a wide variety of surfaces helping you handle all kinds of projects. SPECS: All compounds (Black, Brown, White, Green, Red & Blue) are the same size - Length: 2-1/2 - Width: 3/4 - Height: 3/4 and 1 zo. 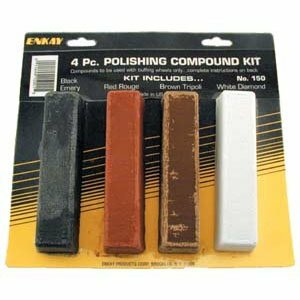 QUALITY: These Compounds are color coded for easy identification in a scale from coarse to fine - The compounds will bring out the maximum luster and mirror like finish on jewelry and soft metals and can also be used to finish harder metals to a mirror like finish. DESIGN: The Compounds are designed to be applied on buffing wheels by simply spinning a buffing wheel on a motor/drill and gently pressing the compound against the wheel while the heat/friction will transfer the compound onto the polishing wheel. USES: Used for Polishing, Cutting, Waxing, Cleaning, Repairing, Restoring, Reviving etc. on any material like: Aluminum, Stainless, Steel, Brass, Cast-iron, Auto Body car work, Appliances & Jewelry. Brand: Drixet | Manufacturer: Mix N More Inc.
Oil based, easy to use. Environment friendly, made with resin, wax and diamond sands. For best results, use with felt bobs or wool polishers. No Special cleanser required, simply wipe clean with water. 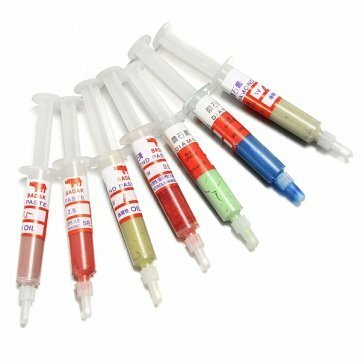 TEMO 0.5 Micron 5gram Diamond Polish Lapping Paste Compound Syringe Final Finish 1 pc 5 gram syringes diamond polishing or lapping paste set. easy for use and avoid contamination. 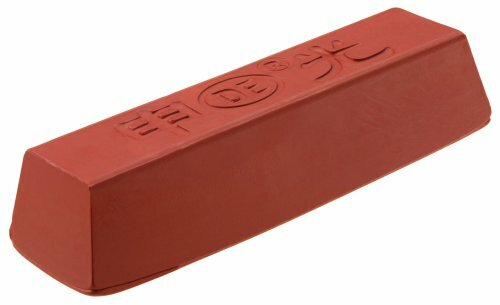 Best use with the wool polishers for polishing. Suitable for use on jewellery & gemstone, steel & hard metal, aluminium & zinc, all metallurgical purpose. the price is for 1 pc 0.5 Micron - Final Polish (Creamy). Please see other listings for different grit. 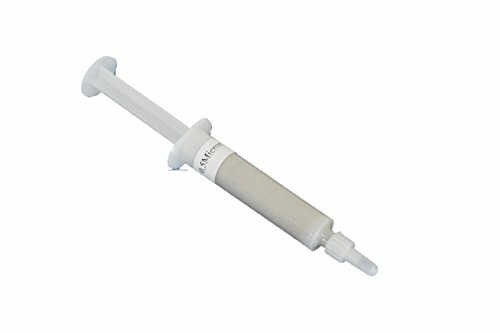 1 pc 5 gram syringes diamond polishing or lapping paste set. easy for use and avoid contamination. Best use with the wool polishers for polishing. the price is for 1 pc 0.5 Micron - Final Polish (Creamy). Please see other listings for different grit. Replacement tripoli compound for the Beall Wood Buff System. Brand: Beall Tools | Manufacturer: Beall Tool Co. NOTE *This product alone is not suitable for scratches deeper than 50 microns/0.002 of an inch in depth (scratches that you cannot feel or catch with your fingernail). If scratches are deep enough to catch with your fingernail please use our GP-PRO sanding discs first or please contact us for advice. *Not Suitable to use on mobile phones, tables, LCD's screens. This is a combination of a high concentration of rear earth oxides to provide the best possible finish in all polishing applications. Can be used on any type of glass including automotive glass, toughened glass. Ideal for use with power hand device for light scratch and surface repair, or as the final polishing step in multi-stage glass scratch repair process, can also be used with hand pad for general surface clean-up. 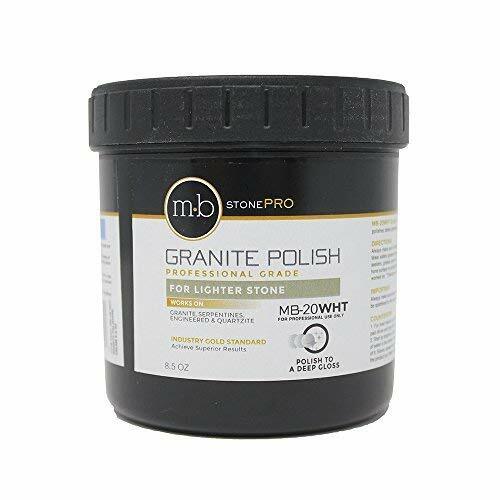 MB-20 Stone Granite Polishing Cream 8.5 Oz. This MB-20 granite polishing cream is an exclusive proprietary blend of abrasives and polishing agents that represents an industry first and a breakthrough for polishing granite. Its polishing agent is so effective that granite and engineered stone gloss surfaces can be improved 20-30% from their original factory finish. 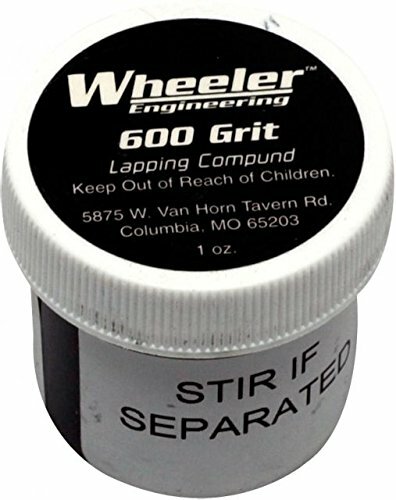 This is an excellent polishing compound for getting the final high gloss finish on difficult to polish granites. Excellent for Absolute Black, Costa Esmeralda, Rainforest Green or any granites. Fast working and easy to use. 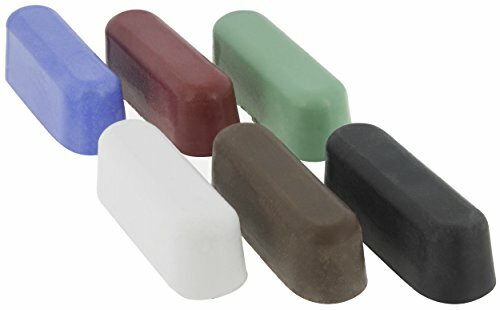 This is the professional's choice for stone polishing compounds. Just ask anyone with the Stone Fabricator's Alliance! MB-20 comes in a resealable 8.5 oz jar. 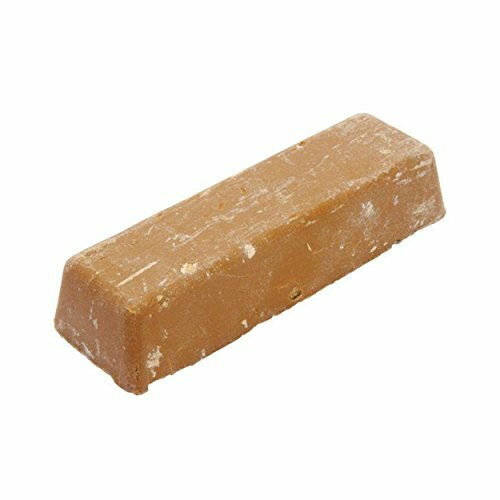 It normally comes as a cream or a paste, but it may also arrive to you on the watery side; don't be alarmed, it is recommended you add water to this product, and it will perform with the same guarantee expected from MB Stone Care. It is available for delivery to Alaska or Hawaii for slightly higher shipping cost. 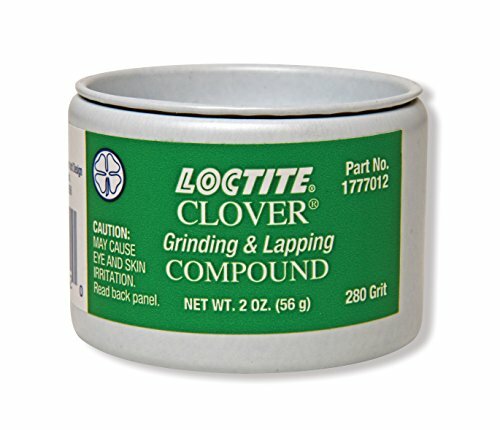 Loctite 1777012 Clover Grinding and Lapping Compound, 2-oz. Loctite 280 fine grit silicone carbide lapping compound ensures engine valves and valve seats are perfectly mated for maximum power and heat transfer. Typical applications include lapping (abrasive compound) for use in ensuring proper fit of valves to valve seats in gas and diesel engines. Lap your barrels to make them shoot better and easier to clean. Lapping polishes out the tool marks left in rifle barrels during manufacturing. Traditional hand-lapping is very Labor intensive and requires pushing lead slugs down the bore by hand. The Wheeler kit allows you to embed lead or jacketed bullets with abrasive and fire them through your barrel. Lapping is as easy as roll, load, and shoot. Works in everything from old.22 rim fires to neglected hunting rifles. Works to improve all but the very roughest bores. The results in appearance and performance can be surprising. Kit includes three jars of high quality abrasive pastes, two steel embedding plates, and complete instructions. 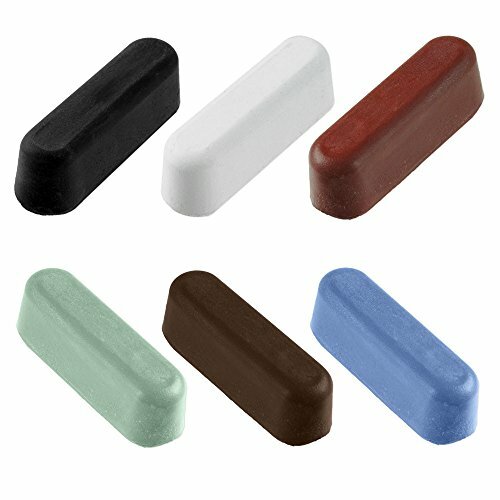 The 3M Finesse-it Finishing Material White is part of a line of specially designed compounds and polishes to be used on OEM and baked refinish paints to remove sand scratches or to remove swirl marks from previously compounded areas and is designed to produce best results when used with an air or electric buffer equipped with Finesse-it buffing pads. This compound material works well for buffing automotive OEM, marine, and aerospace coatings. This material also produces superior results in top coat rubbing and other woodworking applications requiring satin, semi-gloss, and high gloss finishes. Finish results are dependent on the combination of coating type, polish, and tools used. 3M Finesse-it products are a line of specially engineered abrasives, compounds, polishes, and buffing pads to be used on OEM and baked refinish paints to remove defects, sand scratches, or swirl marks on a variety of painted surfaces. 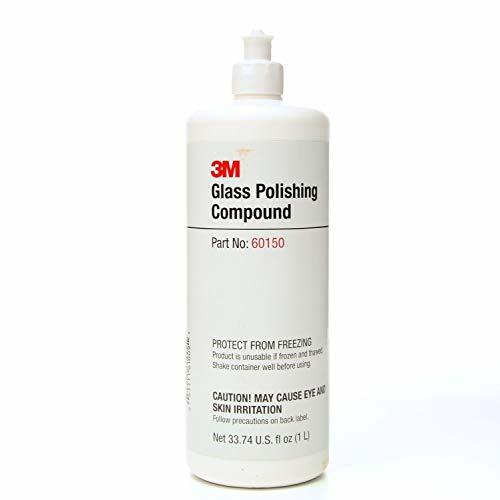 3M Finesse-it products are an integral part of a 3M recommended buffing system for repairing surface defects to clear coats, lacquered wood, solid surfaces, gelcoat, powder coat, industrial paint, acrylic, and glass. For more than a century, 3M has applied innovation and technology to improving our customers lives and supporting their business goals. Today the company, from its headquarters in St. Paul, Minnesota, serves industrial and commercial customers and consumers in nearly 200 countries. Abrasive Systems products, including a complete line of coated abrasives, microfinishing and microreplicated abrasives, and hardware accessories, provide the finishing touch for almost any surface conditioning application. The 3M brand, across thousands of products, represents consistency, superior quality, and value. 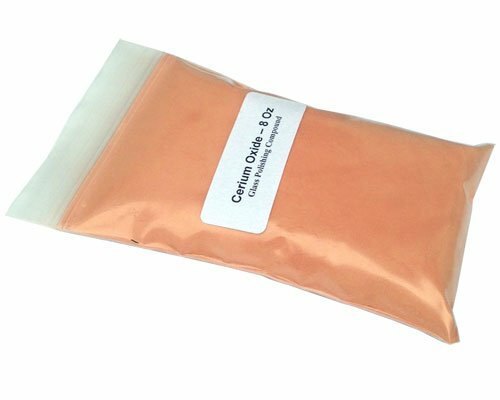 Bottled liquid compound comprised of cerium oxide mineral and water used to polish assorted glass surfaces and parts. Typically used for defect repair and scratch removal. Specially designed compounds and polishes to be used on OEM and baked refinish paints to remove sand scratches or to remove swirl marks from previously compounded areas. White color. 1 liter Capacity. Painted or unpainted, MET-ALL s Aluminum & Stainless Steel polish keeps your aluminum and steel surfaces shining bright. Special protective agents remove and prevent oxidation. It s non-abrasive, environmentally safe formula guards against water spots and maintains luster. Non-toxic and non-flammable. Effective in removing accumulated surfact dirt and stains from anodized aluminum. * Special protective agents remove and prevent oxidation. * Non-abrasive, environmentally safe formula guards against water spots and maintains luster. * Effective in removing accumulated surfact dirt and stains from anodized aluminum. ONE EASY APPLICATION ALUMINUM CLEANER - Clean, Polish, and Protect. Special agents are used to prevent oxidation, guard against water spots, and maintain luster. 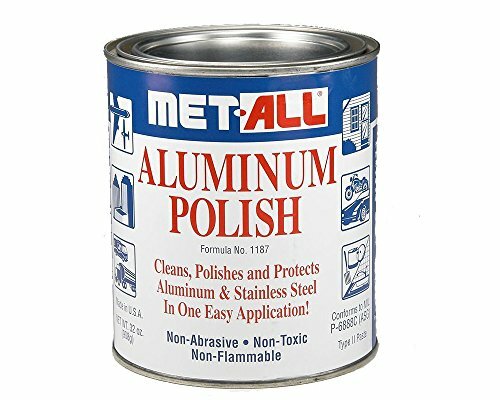 SUGGESTED USES - This environmentally-safe polish works wonders on..aircraft, building fronts, elevators, trailers, aluminum doors and windows, awnings, cars, mag wheels, motorcycles, boats, metal furniture, jalousies, shower enclosures, kitchen utensils, sinks, appliances, and metal cookware. OTHER USES - Polish for Chrome, Gold, Nickel, Platinum, Fiberglass and Plexiglass. ENVIRONMENTALLY FRIENDLY - NON-ABRASIVE, NON-TOXIC, NON-FLAMMABLE. 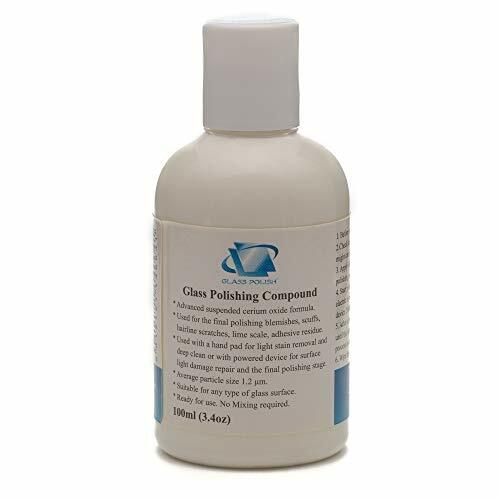 PC35 1L Polarshine 35 Coarse Polishing Compound, 1 Liter (1 Each) Polarshine 35 is a new coarse polishing compound developed for demanding Industrial and Marine applications. Polarshine 35 is suitable for materials such as gel coats, high gloss lacquers and composites. This product has a faster and more efficient compound and produces a high surface gloss. By using Polarshine 35 you are able to minimize the sanding steps. 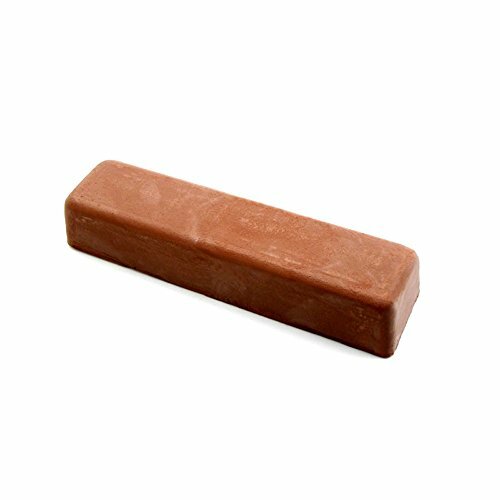 This polishing compound has special emulsifying properties, which reduce the risk of drying out or overheating the surface. The viscosity of Polarshine 35 reduces splashing and is easy to use.